There are very, very few projects left in our house and I would say that the following one is maybe one of the biggest ones. We’re thinking of adding a garage to the back of our property. Cue excitement and gut wrenching terror. We have a laneway, and two parking spaces outback where we can park. But because of Canadian winters (S-N-O-W) and, needing some extra storage space, we’ve been contemplating maximizing our space, and building something out back. But because I’m crazy, and artsy fartsy and don’t do anything easily around here – I really want the side of the garage that we see from the house – not to look like a garage but instead – look like a little cottage / studio. Because that means we could kind of chill back there in the Summer. I could maybe open up the doors and do some painting / crafting / photography work. We’ve been collection images of inspiration for awhile. Above was a shot I did a screen capture of an actual cottage I liked, while reading HGTV magazine (on my beloved Next Issue app) and thought that from the garden side, this would be a really nice look. On the opposite side would be a garage door. We gave this picture to Nathan from BLDG Workshop Inc. who reached out via Twitter when he saw that we were in the planning stages of a garage, and he drew us up some plans, as you can see below. The garage would have all glass on the garden side, have a car port attached to the side, and a garage door, that opened up to the laneway behind. He referenced the project below, that he had done, as what it would look like when complete. We’d have a low profile deck as grass doesn’t grow back there. Isn’t it beautiful?! It’s also, really expensive to make. So right off the bat, we knew it wasn’t a possibility. Not even close. 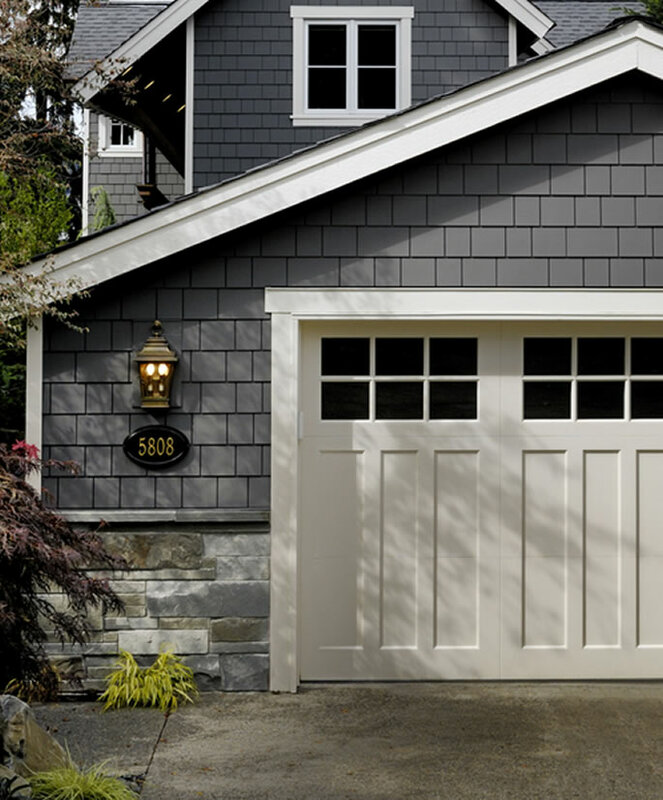 It was fun to contemplate a fully “custom” garage for a brief moment in time but now we’re looking at buildings we can do from plans, and have a few ideas. Let me show you some beauties that I’m in LOVE with. From the laneway side, here are looks I adore. All different, but all lovely! and the next one. Can I just say OMG. Fair enough. The last one isn’t reeeeeeally a garage. (Aubrey just walked by and rolled his eyes at me) But a girl can dream. This is the easy and free part – dreaming. It’s the next stage – reality, that is the hardest. Oh, and obviously finding the pennies in the couch to save up. you have inspired me to think outside of the box..prefab box that is.